Henrietta Crosman was born in Wheeling, West Virginia, in 1865 and made her first stage appearance in 1883. 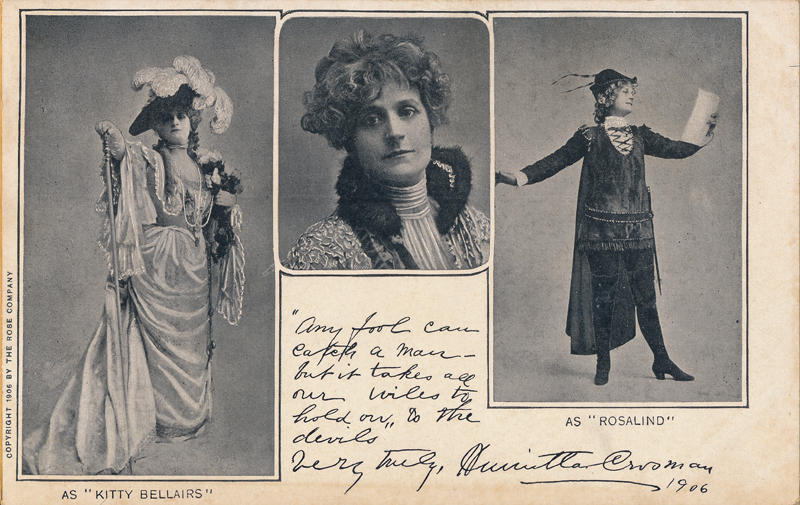 In 1889, she played her first role in Shakespeare as Celia in As You Like It, and in 1902, she successfully took the part of Rosalind in the same play; this Broadway production had a run of sixty performances at the Theatre Republic. 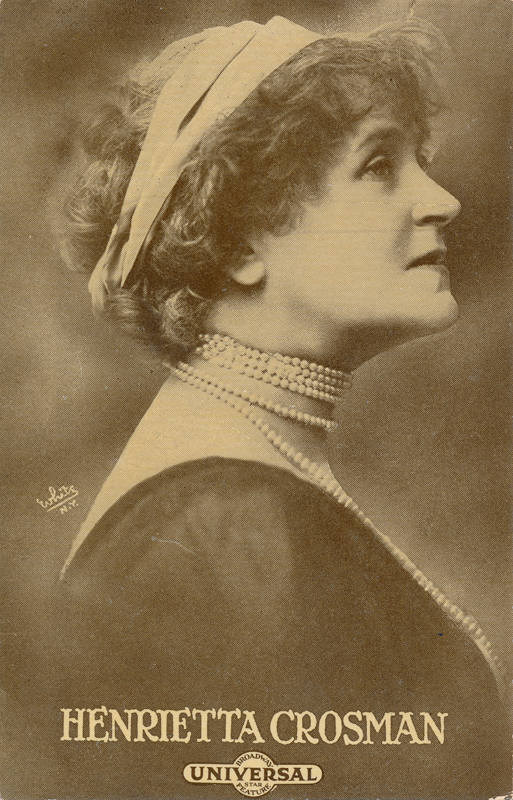 She played Shakespeare again in 1916 as Mistress Page with J. K. Hackett and Viola Allen in The Merry Wives of Windsor; she was so popular in the part of Mistress Page that she played the role again with Sir Henry Beerbohm Tree in the same year, 1916. Her last appearance in Shakespeare was as Mistress Ford in The Merry Wives of Windsor in 1928. In 1930, she began making films and spent the rest of her career in the cinema; she played in at least fourteen films until her retirement. One of them was The Royal Family of Broadway (1930), a tale loosely based on the lives of the Barrymore family—John, Lionel and Ethel. She also played in one of my favorites, Charlie Chan’s Secret (1936).